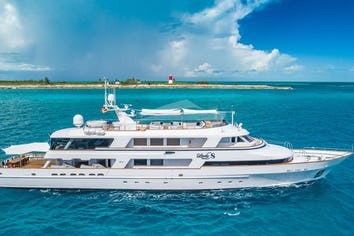 FAR FROM IT features 5 staterooms plus 9 crew and appears to have the volume of a much larger yacht. 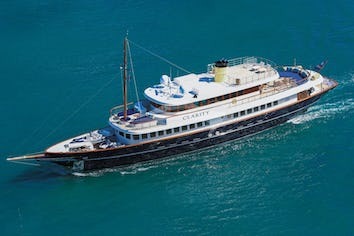 5 staterooms accommodate up to 10 guest:. Full beam Master Stateroom on main deck. The large covered aft deck is entered from port or starboard side boarding gates via a Marquipt tide­ride ladder at the midship boarding gate via the walk­-around decks or from the swim platform and/or 20’ Bezenzoni passarelle aft. The main aft deck has plenty of seating with a large hi/lo custom teak table that converts to either a dining table or a cocktail table. There is a beautiful teak and granite refreshment bar complete with ice maker, refrigerator and flip down 50" LCD TV. As you enter the salon from the aft deck, through the custom built stainless steel automatic sliding doors, you will find an elegant and stylish lounge for entertaining guests. Generous seating includes two large custom sofas, an armchair and two custom designed cocktail tables, power drapes with a coffered ceiling that is illuminated by a custom etched glass compass rose. The entertainment center that separates the salon from the formal dining room includes a fixed 52' LCD TV, Denon tuner/amplifier, DVD player, media music center and Satellite Receiver. Forward of the salon, amidship is the spacious formal dining salon, one of three places to dine on the yacht. Featuring a custom round mahogany dining table capable of seating ten guests. The large surrounding windows allow plenty of natural light or turn the overhead lights down low for a more romantic setting. An automatic door to port acts as a service entrance between the galley and the dining salon. A camera monitor in the galley allows crew to anticipate the guests' dining needs, here or on the aft deck, without disturbing them. Forward to starboard on the main deck, past the powder room is the on deck master suite. As you enter the suite, to starboard there is a builtin desk and bookshelf/office area with a TV and a Subzero two drawer refreshment center. Continuing forward you walk into the master stateroom, featuring a center line king size bed with a lounge to starboard and dresser with vanity to port. A full entertainment system is hidden in cabinetry opposite the bed, with a 50” Samsung LCD TV. Forward of the bed are his (starboard) and her (port) bathrooms, his has a dual head steam shower, hers a large Jacuzzi tub and bidet. Both have W.C’s. Both bathrooms have TV’s hidden behind two way mirrors and the port bathroom has an emergency escape for’d, hidden behind another mirror. Descending the starboard main foyer stairwell to the lower foyer, there is access to four large guest staterooms. Three staterooms feature Queen size beds, two aft are mirror images, with tub/shower combinations, except for the forward stateroom which features a stall shower. The fourth stateroom features 2 Twin beds, with stall shower. Every stateroom has a beautifully appointed en suite bathroom with slab marble and granite counter tops. The lower foyer also includes a refreshment bar with a Subzero two drawer refrigerator and ice maker. There is a hidden crew door that allows ease of access for the crew into the guest foyer, to service the lower deck with minimal intrusion on the guests. The crew passageway has a watertight door to ensure sound insulation between crew and guest areas. Up the beautifully lighted winding stairs from the main deck level is the sky lounge foyer with access to another day head, pilothouse and skylounge area. The sky lounge is huge and features two voluminous sofas along with a reversible card table, which compliments the magnificent granite bar with four custom bar stools. The entertainment center on the forward bulkhead includes 52" LCD TV, Denon receiver­ amplifier, DVD, CD, Apple TV system and Sonas music system. There are also custom powered drapes in the sky lounge. Leading aft through powered stainless and glass door leads to the spacious upper aft deck, featuring a custom round teak table with a compass rose inlay that is also duplicated on the coffer ceiling. It accommodates ten guests. A wet bar, under counter fridge, a 50" plasma TV with surround sound and a propane grill/oven are also located on this deck for alfresco dining. The fly bridge, accessed from the forward port corner of the upper aft deck, has a half­-moon shaped bar with four bar stools. Equipped with refrigerator and ice maker the bar wraps around the 60 jet hot tub built in under the arch section. An air conditioned day head is conveniently located on this desk for ease of use by guests. Located aft, the large sun­ splashed area has 4 lounge chairs. A brand new sun pad sprawls across the forward section of the sun deck. The two seating areas facing stern with teak tables and custom umbrellas remain for additional seating and dining. Scott was born in New Zealand, living in the world. He has been on the ocean since he was a young boy cruising and fishing the New Zealand and Australian coasts. He raced yachts in New Zealand, Australia, Europe and the USA. 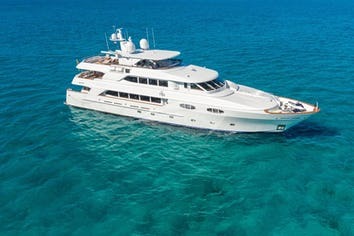 He has now been working on motor yachts for 20 years and has a great charter following with an in-depth knowledge of the Bahamas, Caribbean and Cuba. He spent many of his earlier years originally in the Mediterranean cruising from Sicily thru to Spain with crossings to the Caribbean. He loves all aspects of the ocean from recreational diving, fishing, surfing to relaxing with his family on sun drenched beaches. Scott looks forward to welcoming you on board to spend a wonderful time in an environment of friendship and fun, to safely relax while we diligently look after all your needs. So please unwind and enjoy the pleasures of your yachting lifestyle. Kasey was born and raised in Newport, Rhode Island. Growing up on the beach and loving the outdoors she became interested in the tourism industry. She attended The University of Rhode Island for Marketing and has worked in many areas of the hospitality industry. While working for the Marriott Corporation she transferred to St. Thomas, U.S.V.I where she lived and worked for two years. After returning back to the states and becoming an innkeeper for a year she realized she missed the tropics and wanted to incorporate her hospitality experience with working on yachts. 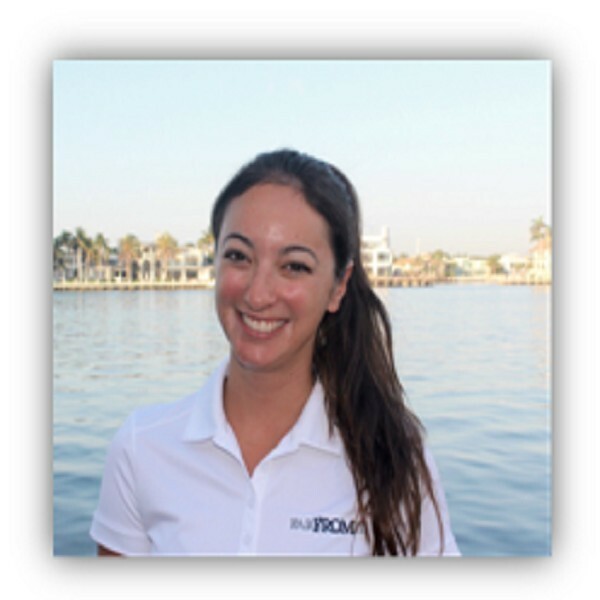 Kasey has been aboard many charter yachts over the last six years and thoroughly enjoys her time. She loves meeting new people, art, music, dogs, and making sure that everyone is a having a wonderful time on board! Claire is from Christchurch, England. She has always loved being near the sea and travelling since a young age. Claire spent a year and a half working for a construction company before qualifying as a dental nurse in England. 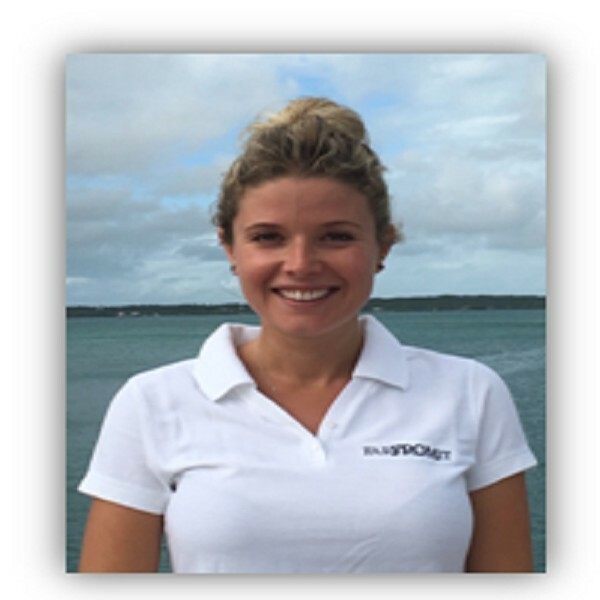 Her career in yachting started last year after a friend told her about his amazing adventures, that’s when she decided she had to try it and has enjoyed going to wonderful places ever since. Her interests include swimming, tennis; long boarding and sunbathing. Claire speaks fluent French and loves striking up a conversation! Connor grew up in Virginia. She graduated from The University of Mississippi where she studied Integrated Marketing Communications. After graduating Connor made her way to Prague where she became a preschool teacher and a waitress. After a year and a half of living and working in the coldness of Prague she decided she had to keep exploring and make her way to somewhere warm. This is when Connor decided to enter the yachting industry in sunny Florida. She has found her first yacht employment with us on Far From It and is very eager and excited. Connor loves traveling and meeting new people. Robert is from St. Augustine, Florida born into a family of commercial fisherman and drivers. 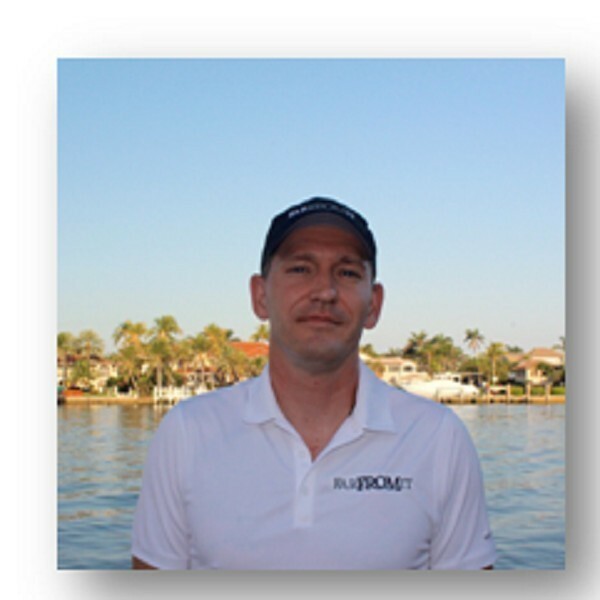 He has over fifteen years as an Engineer and Captain aboard expedition film vessels and luxury yachts worldwide. Along with his many Engineering licenses Robert is a certified PADI Dive Master as well as a Real Estate Agent and business owner. Robert has a passion for blue water fishing and diving. When not working you will find Robert either in the water or chatting with locals to find out the local buzz. He also loves photography, residential construction, reading, family life and of course traveling. Rian is from Melbourne Australia. 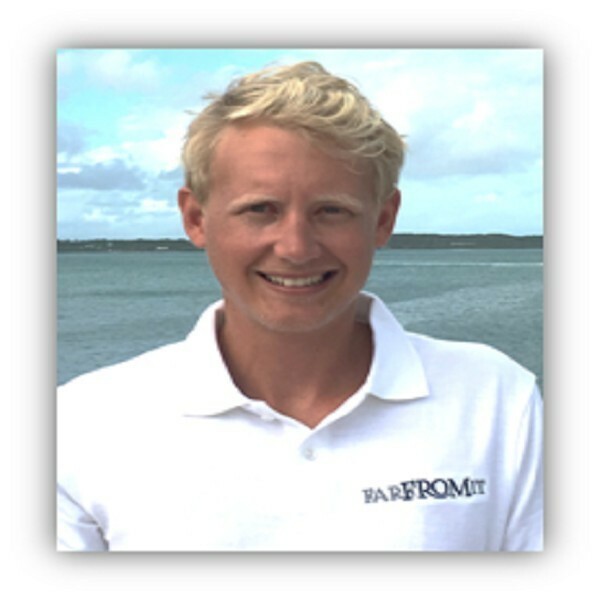 Before starting a fishing charter business in Australia, Rian was a cabinetmaker and a stonemason. His love of the sea and aspirations to become a Captain led him into the yachting industry. H past professions bring a wealth of knowledge and experience in the care and maintenance of Far From It. As our safety officer Rian is always ready and eager to assist crew and guests. He enjoys fishing, wake boarding, water sports, playing the drums, and dogs. Alysa decided to move to Fort Lauderdale to begin her new career in yachting only recently. She has a Bachelor’s Degree of Science from the University of Rhode Island and has spent the last two years working as a Medical Assistant. The medical field was something Alysa greatly enjoyed, but her obsession with the ocean led her to yachting. She is from a small town in Massachusetts, but loves escaping to the beach and exploring new places. Her interest in traveling began when she studied abroad in Australia. Since then she has scuba-dived the Great Barrier Reef, backpacked through Europe, swam in the blue lagoon of Cyprus, and rode on a camel in Morocco. Alysa is excited and eager for her position on aboard Far From It and is beyond excited to see the new places this career will take her. Andy’s culinary journey began within the heart of Berlin’s vibrant diversified food culture. He was intrigued by the art of cooking which brought him around the world to explore the various cooking techniques and ingredients from a variety of cultures. His love for travel has greatly influenced his cooking style as he enjoys fusing Eastern and Western dishes together. Andy loves creating his own forte which he incorporates French Cooking Techniques with Modern European and Asian food styles. He has cooked privately for high profile clients as well as celebrities over the years. His experience allows him to customize menus for a variety of clients, including young children & individuals with special dietary requests. Andy strongly believes in sustainable, healthy, wholesome food and have a flair for achieving exceptional food quality and a flawless presentation. When Andy is not on board he lives with his wife and daughter in Bangkok. Robert is from Brisbane, Australia where he lived until joining the Australian Army. He spent seven years as a Soldier in the Army including two Afghan tours. After his time on active duty Robert craved a change in lifestyle and pursued a career in Yachting. He has been working on yachts for three years, completing extensive world travel. His hobbies include photography, flying drones, travelling and exploring.